Converting Miss C's Nursery in to a BIG Girls Room! 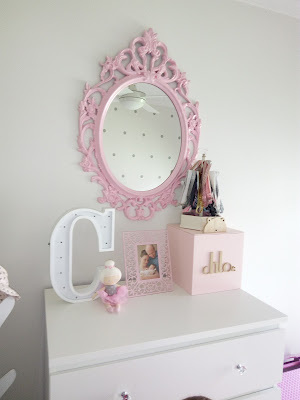 Do you have one of those rooms in your house, that no matter what you do to it, it never feels done?! Well Miss C's room is a little bit like that for me. Even when it was in its' nursery form, I was always playing/chopping/changing and fiddling with things and never really felt 'finished'. 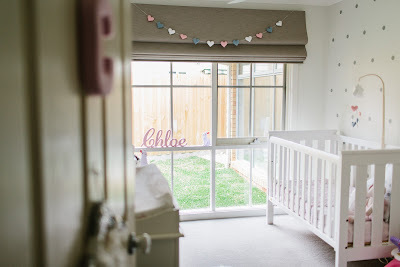 If you want to see more of Miss C's nursery, you can catch those posts here and also here. Towards the end of my pregnancy with Mr T, I hit my nesting phase BIG time! 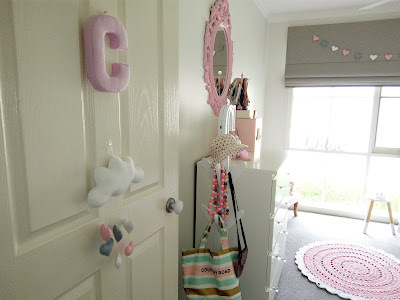 So not only did I start on a 'gender neutral' nursery space for baby, but I also got cracking on a big girls room for Miss C.
To be honest, because Miss C was only 18 months old at the time Mr T was born (crazy age gap I know for a third bub! ), I wasn't yet sick of the colour scheme, the polka dot feature wall or many of the elements in the room. 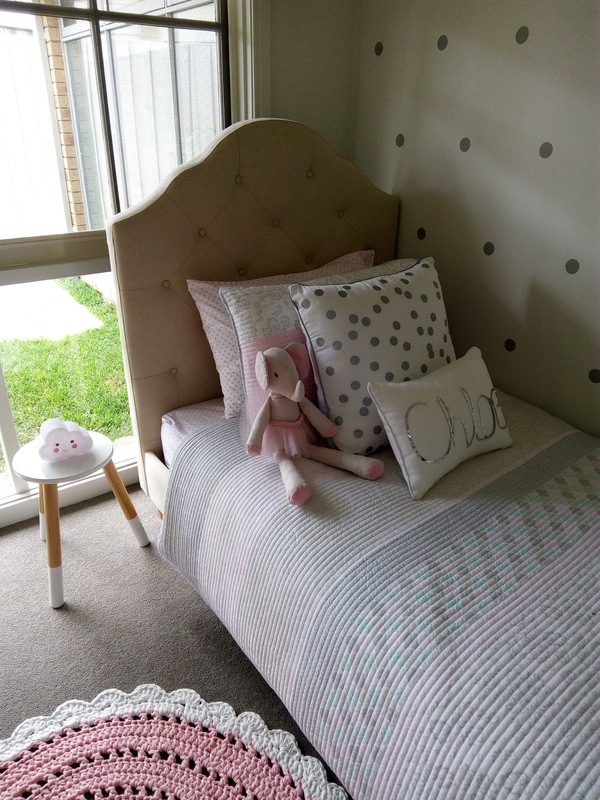 So instead of changing it completely, I simply added a few toddler essentials - new bed, chest of drawers, and side table. There are a few new accessories that you may spot, such as the rug, coat rack and little reading chair. 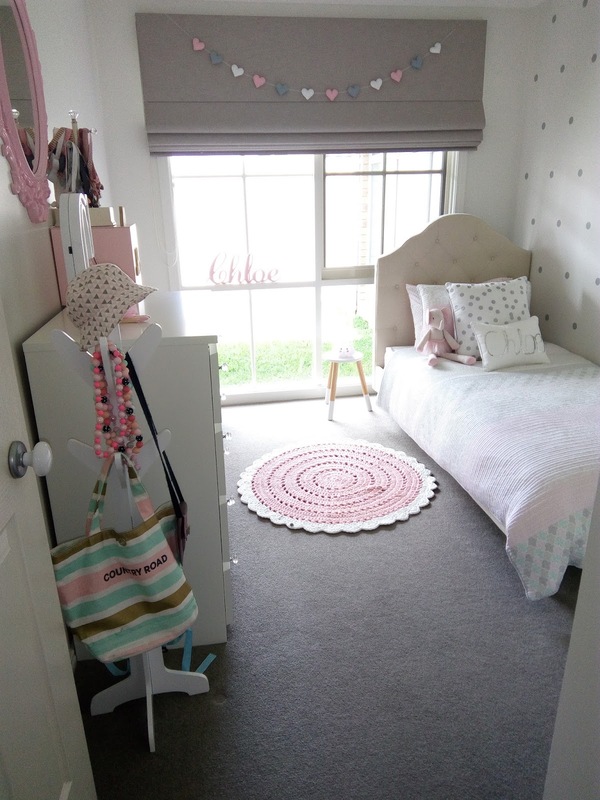 Everything else in the space (including her cot mobile) has been recycled and worked in with the space. Because a new bub is certainly a super big expense in itself - everything was done on a budget! 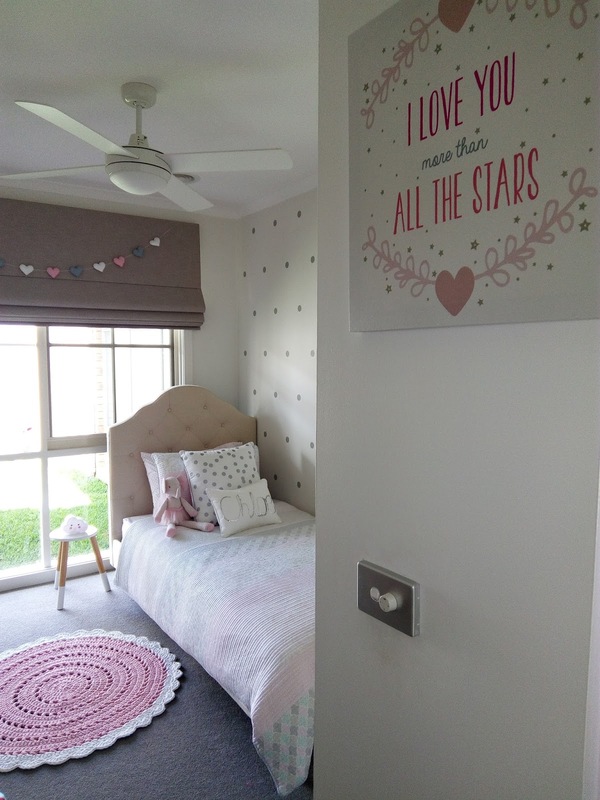 Without a doubt my favourite thing in her room is her bed! 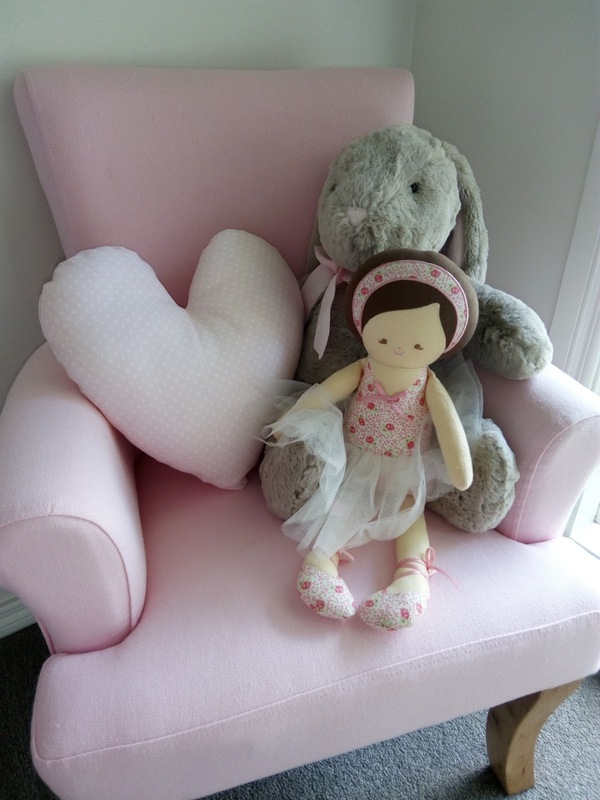 I will do a separate stockist post for you all, but because I know I will be asked, this is the Mia Bed from Hip Kids. This is my biggest splurge item for the room. But at just shy of $400, I think is a pretty darn good price for this bed considering I saw similar beds for over the $1000 mark in my shopping research. The bed is nice and low to the ground so it makes a really good 'transitional' bed from cot to first bed. To help us select the right mattress for Miss C, we used the Sleepmaker Comfort selector tool. 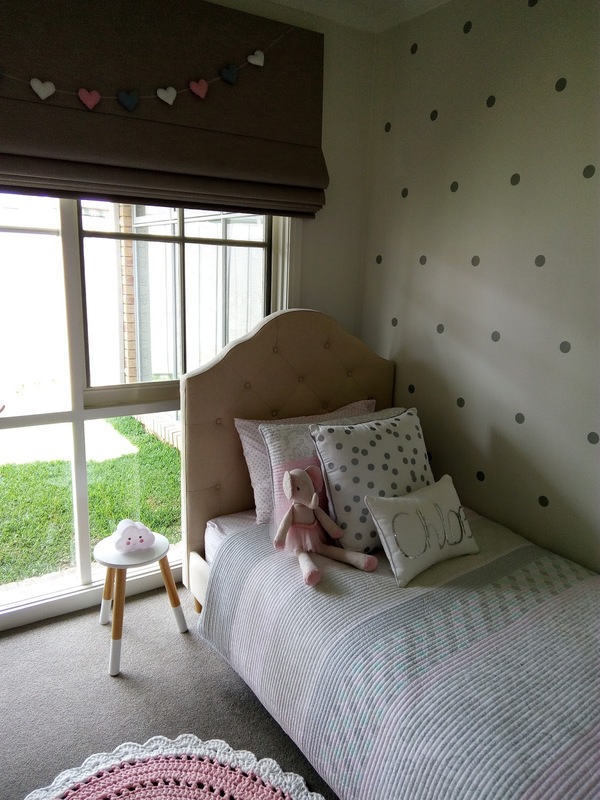 This little online questionnaire helps you find the perfect mattress without having to leave the house (fabulous if you have 3 kids, aged 3 and under to make life hell tag along!). All in all, I am pretty happy with her little 'grown up' room - I just wish she'd sleep in her bed (not ours) more often! !